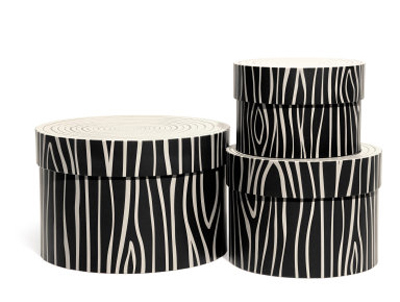 This 3-pack Storage Boxes feature round cardboard storage boxes that can be nested. Boxes and lids printed to resemble a tree stump. Size: large 6 x 9 in., medium 5 x 7 in., small 4 x 6 in. $19.95. Buy here. where is the best site to do a blog, blog tips be grateful. thanks for help. sam i tried get your blog but seems no thread, check it out.